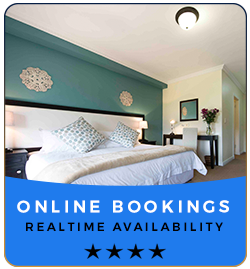 Spend Time in our Luxury Leisure Centre, Melkbosstrand, Cape Town. The Leisure Centre at Atlantic Beach Estate in Melkbosstrand, Cape Town, lies at the heart of many of the community and recreational activities hosted on the Estate. Guests of The Lodge 4 star boutique hotel have full access to all of the facilities available at the Leisure Centre. Enjoy a game of tennis on one of our two tennis courts, or work up an appetite at our Fitness Centre. If you prefer something a little more relaxing, you are welcome to lounge alongside our sparkling Swimming Pool or enjoy health and beauty treatments at our Wellness Spa ‘Elemental Health and Beauty’. Our business hub which is equipped with computers, 24/7 high-speed internet and a printer, is also available for guests who need to fit work in to their busy leisure schedule. *Please note that guests must supply their own racquets and balls when using our tennis courts.